Jumbo cutaway body with sunburst finish, arched solid spruce top, curly maple veneered back, maple sides…. Jumbo body (17 inches across lower bout) with cutaway. 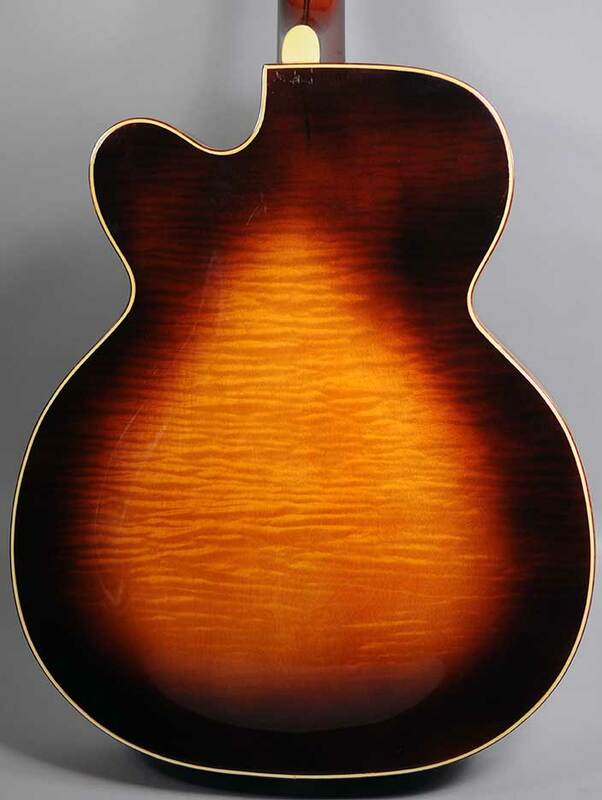 Sunburst finish. Arched solid spruce top, curly maple veneered back, maple sides, maple neck with three ply center veneer. Bound rosewood fretboard with large mother of pearl inlays, bound f-holes. 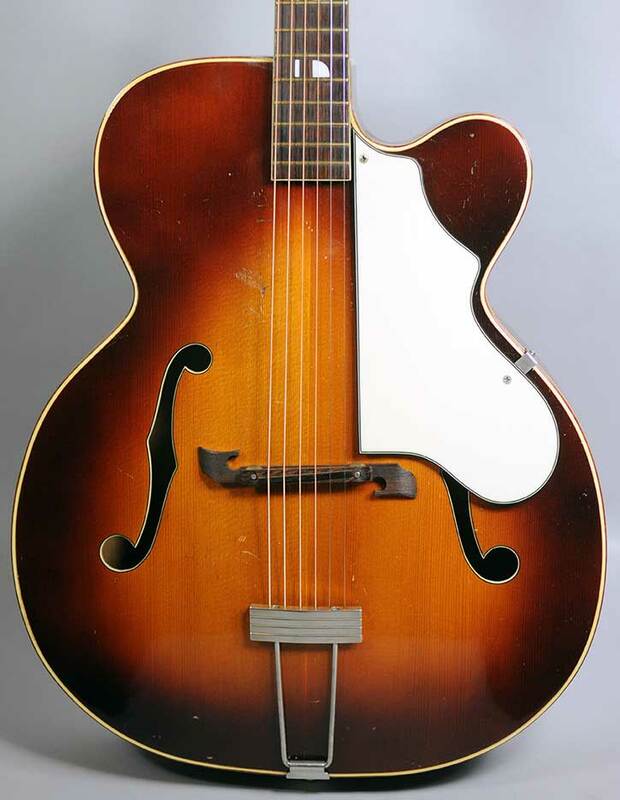 Original pickguard, original rosewood bridge, original Kluson tuning machines. 25-3/4 inch scale length.